In cities across America, where we are seeing more and more vacant storefronts, brands are reconsidering what the purpose of a physical store should be. These vacancies should be looked at as an opportunity for new brands as pop-up stores have the ability to offer temporary experiential retail space. The hope is that pop-up rejuvenates a “stale” retail market. A pop-up store is a short-term, deliberate temporary retail event. Pop-up retail formats are temporary stores that showcase a brand for anywhere from one day to 120 days, and they reflect how consumers want to shop today. Brands choose to occupy vacant storefronts, booths or kiosks in malls for the short term, as well as gallery or event spaces or space within already existing stores/hotels to use as their pop-up locations. What Can a Pop-up Shop do for a Brand? The pop-up store movement can help a new brand to find and fine-tune their audience. Short-term leases are appealing to brands, offering the opportunity to test out retail strategies without long-term commitment. This new approach could potentially save the brand money and offer a way to build the brand experience — as well as make some sales while testing the market. Within a smaller, more personalized setting, brands are better able to explain their brand mission to each customer and help their customers to gain a sense of familiarity and appreciation for the workmanship that goes into the brand’s work. What Can a Pop-up Store do for a Landlord? Pop-up stores can help retail landlords to fill their space. It’s important to understand that pop-up don’t necessarily mean temporary stores. They can be more of a testing ground for what retailers want to achieve. With brands like Allbirds, Margaux, and Everlane all turning their NYC pop-ups into permanent stores, there’s convincing evidence that temporary leases don’t necessarily stay that way. Also, commercial property-owners may experience higher returns from pop-up shops than from their typical retailers. According to research, sales at small business retailers outpaced their larger competitors, making small business a valuable revenue source for shopping centers, which provide localized and unique experiences for consumers. What can the Pop-up Movement do for Retail? Pop-ups bring a level of freshness and excitement to what some consider a ‘stale’ retail experience. Many pop-ups are embracing new technologies that make them interactive and experiential such as ordering clothing to your dressing room on screens. Other brands set up a drink station for their customers including things like lemon water or even sparkling wine. There’s already been a significant momentum for pop-ups, and we believe this will continue to grow. While pop-ups offer brands that are just starting out and working on building their inventory and consumer base unaffordable, creative sphere for retail, big brands are also making the most out of the new retail economy. For example, Reebok made use of existing building space and opened a month-long pop up shop in NYC’s CVZ art gallery. Designer Kate Spade got creative with a pop-up shop, creating an igloo-themed store in NYC’s Bryant Park where hot chocolate was served to chilly shoppers. For these big, well-known brands, pop-ups afford them the ability to take the shopping experience to a new, exhilarating level, which in the end draws in more customers. 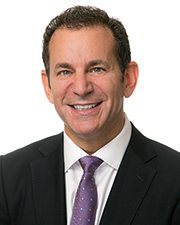 Ron Koenigsberg is the president of American Investment Properties, Garden City, N.Y.